Kelowna Emergency Department Suboxone Starts (KEDSS) Program for opioid use disorder: A program evaluation study. 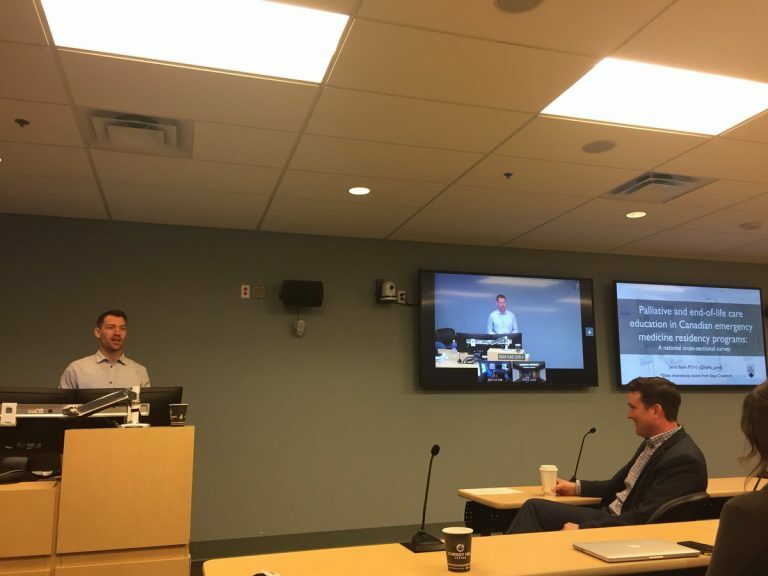 Journal Club – Emergency medicine resident perspectives on journal club as a community of practice and its impact on clinical medicine. 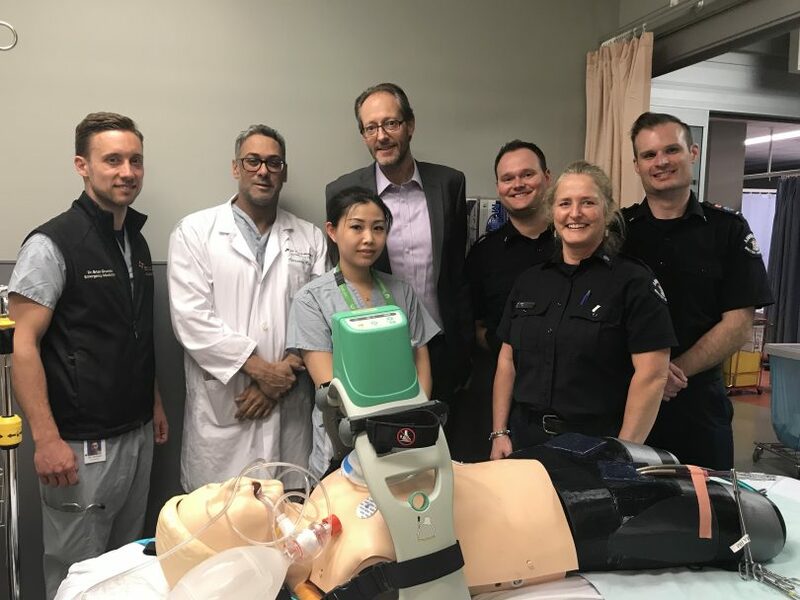 A 55-year-old Vancouver man who suffered a cardiac arrest was revived after being pronounced clinically dead for 52 minutes with the help of the ECPR team at St. Paul’s Hospital, led by Dr. Brian Grunau. ECPR (Extracorporeal Cardiopulmonary Resuscitation) is the use of an external machine to oxygenate a patient’s blood supply. ECPR is used for patients who are unable to be revived with standard resuscitation. Read the full article in the Providence Health Care Daily Scan. Peace Arch EP and DEM faculty member, Dr. Amir Behboudi, is conducting a study using inexpensive VR goggles for pediatric patients during potentially scary experiences like receiving stitches or having an IV inserted. Dr. Behdoubi worked with Dr. Ran Goldman to duplicate the project at BC Children’s hospital and is working with other emergency rooms in Fraser Health to brief them on the study and VR technology applications. Congratulations to RCPS-EM resident, Louise Cassidy, who was chosen as a recipient of the Resident Innovation Fund from Resident Doctors of BC! The award of $2,500 is for her project “Post-shift road safety in British Columbia Medical Residents”. Louise developed and advanced this from an initial idea to a research project during the DEM “NERD Block”. Residents are routinely expected to work multiple extended shifts each month. While no Canadian data currently exists on this topic, data from the United States demonstrates that for every additional extended shift scheduled per month, interns had an increased monthly rate of a crash on the commute home from work. The aim of this project is to determine the proportion of medical residents in British Columbia who have experienced an unsafe driving incident while commuting home from work after both regular and extended-length shifts. The BC EM Network connects BC emergency practitioners with each other and BC-relevant clinical resources. Within the Network, you’ll find peers sharing knowledge and supporting one another with information to improve patient care. 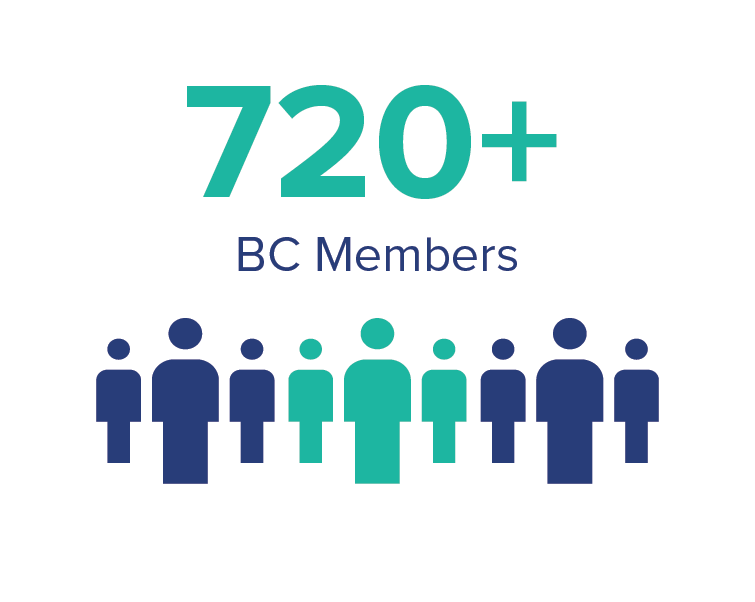 The Network currently has 729 members and is growing! We are pleased to invite you to attend the 11th Annual UBC EM Research Day. The event will take place at the CRFI Chan Centre auditorium at BC Children’s Hospital in Vancouver and will be live broadcast online. Check out the day’s brochure here to view the presentation topics. Please register if you plan to attend in person. The day will feature podium presentations of completed or planned EM research, plus a presentation and feedback by our visiting professor, Dr. Kathy Boutis, staff physician in the emergency department and Vice-Chair of the Research Ethics Board at the Hospital for Sick Children (SickKids). She is a Senior Associate Scientist in the Child Health Evaluative Sciences Program at SickKids Research Institute, an Associate Professor at the University of Toronto and the Academic Director for ImageSim. Dr. Boutis’s work is highly respected and internationally known. This is an event you will not want to miss! Connect here on April 10th at 9am to view the online broadcast. Please call 1-877-266-0666, press option 2. Congratulations to Dr. Jeff Brubacher and his research team for being awarded $1.36M over 36 months for their national study “Monitoring and Preventing Impaired Driving in Canada”. The study will measure drug levels in injured drivers from ten trauma centres across Canada, in addition to four centres in BC. The goal of this project is to document how alcohol, recreational drugs, and impairing medications contribute to Motor Vehicle Crashes. Dr. Brubacher’s research focuses broadly on injury prevention with a special interest in drug-impaired driving, substance abuse and injury, and patient safety in the emergency department. Congratulations to John Tallon who received the Dr. Charles Burns TAC Board Recognition Award at the Trauma Association of Canada 2019 Conference. The conference was held Feb 28-March 1, 2019 in Calgary, Alberta. To read more about the award details please visit the award recognition website. Congratulations to John Tallon who received the Dr. Charles Burns TAC Board Recognition Award at the Trauma Association of Canada 2019 Conference. The conference was held Feb 28-March 1, 2019 in Calgary, Alberta. To read more about the award details please visit the award recognition website. 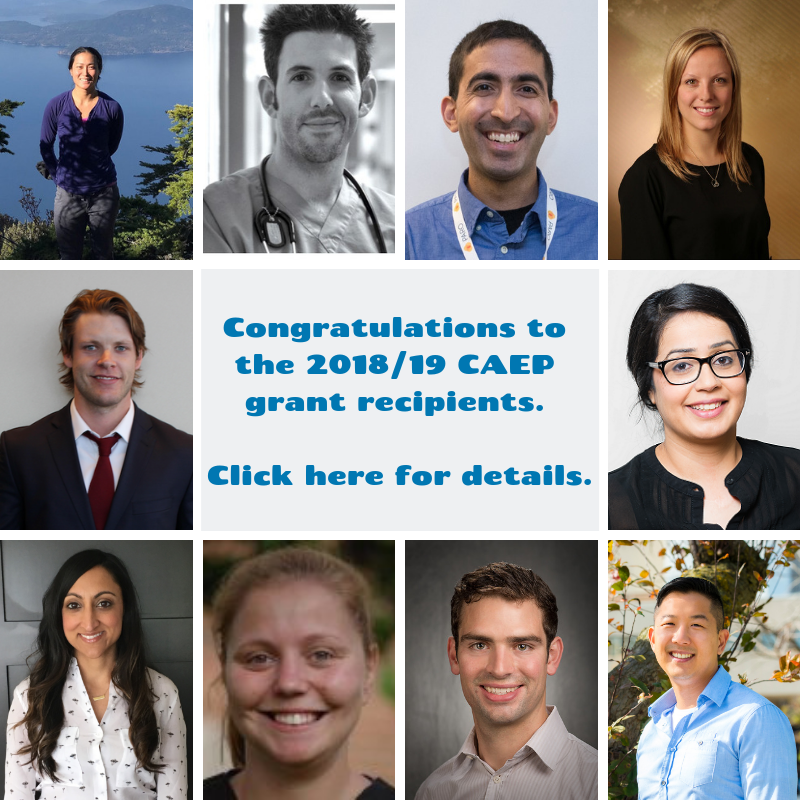 Congratulations to Dr. Jen Chao, year 4 RCPS-EM resident, on being awarded a $5,000 Canadian Association of Emergency Physicians (CAEP) Junior Investigator Grant. Her project, “Low Dose Intravenous Ketorolac in Renal Colic, A Pilot Study to Plan a Randomized Controlled Trial”, compares 10mg vs 30mg of IV Ketorolac for pain control in adult patients presenting to the emergency department with suspected renal colic. Jen is the Principal Investigator working with team members Dr. Corinne Hohl (Supervisor), Katherin Badke (Pharmacy), Vi Ho (VCH Research), Penny Brasher (UBC Statistician), and Dr. Ka Wai Cheung (VCH Research). Well done, Jen! RCPS-EM resident Dr. Jared Baylis is the lead author of a recent publication, Conquering Consultations: A Guide to Advances in the Science of Referral-Consultation Interactions for Residency Education. His article is available online ahead of the upcoming print issue of the Annals of Emergency Medicine. The article explores the referral-consultation process for resident doctors. 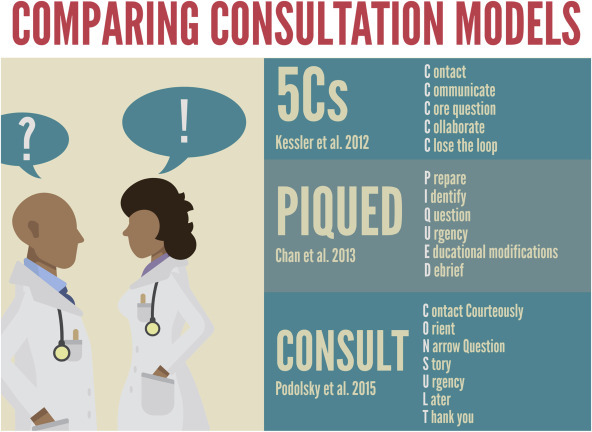 It outlines different frameworks for consultation and emphasizes the art and the science of focused interpersonal and communication skills to improve patient care, and the resident experience, during the referral process. Congratulations to Dr. Quynh Doan, Associate Professor in the Division of Emergency Medicine, UBC Department of Pediatrics. She was a successful applicant to the Fall 2018 Strategic Investment Fund call. The Faculty of Medicine created the Strategic Investment Fund to advance the objectives of the faculty’s strategic plan, Building the Future. Dr. Doan’s project is titled Helping Students Identify and Manage Mental Health Issus in the Post-secondary Setting. She is investigating modifications to the existing clinical psychosocial evaluation tool for children and adolescents into an eHealth version for use by young adults at UBC to validate its ability to enable early self-detection of mental health issues among UBC students and facilitate their connection with appropriate health resources. This will be a platform for future research into how self-assessment influences students’ help-seeking behaviours and their beliefs and attitudes about healthcare seeking. The CCFP residents were the stars of the show. It takes a lot of courage to stand on a stage to showcase your skill and talent. Of course, they couldn’t have achieved such success without the dedication, teaching skills and leadership of Jeanne MacLeod, the SIM director at St Paul’s Emergency Department. 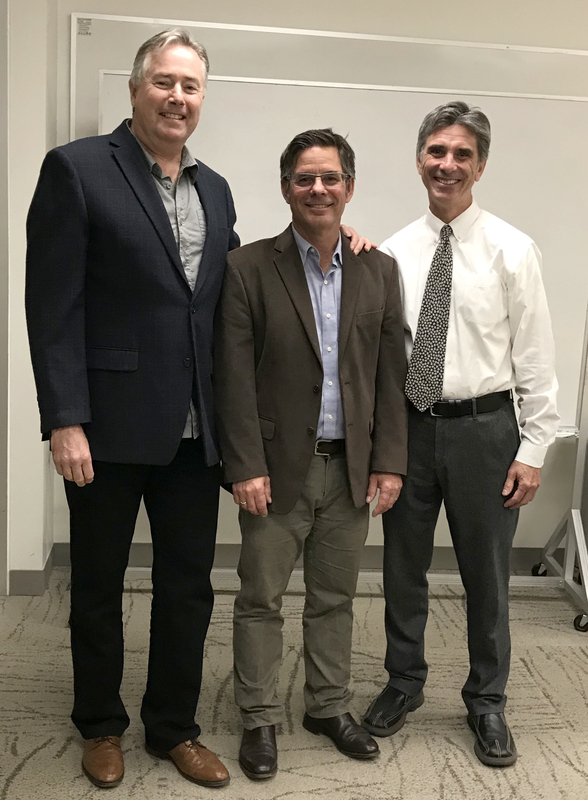 Congratulations to NERD Block Faculty Member Dug Andrusiek, for successfully defending his PhD dissertation on September 11, 2018. Dug’s thesis was titled: “Emergency Medical Services Design and Response: The Role of Chain-of-Survival Clinical Interventions on Survival Following Out-of-Hospital Cardiac Arrest”, and his success is anticipated to soon lead to the first PhD granted at UBC to an EMS expert. Pictured above are Dug Andrusiek (centre) and DEM Faculty Members and PhD Supervisory Committee members Dr. John Tallon (left) and Dr. Riyad Abu-Laban (right). The Supervisory Committee was chaired by Dr. KS Joseph. Congratulations to Dr. David Barbic for his recent VCHRI Innovation and Translational Research Award for his study, “Rapid agitation control with ketamine in the emergency department (RACKED): a randomized controlled trial”. When patients arrive at the emergency department (ED) agitated, aggressive and with potentially violent behaviour, it is paramount to find a way to address the situation quickly for the safety of patients and ED staff. Patients may be suffering from mental health crises, substance misuse, severe infections or trauma, and caring for them and other patients is a primary concern for ED staff. This randomized control trial investigates the use of intramuscular (IM) ketamine compared to current standard care medications for the rapid and safe control of patients in the ED who present to the ED with aggression or violent behaviour. Read more about the RACKED study. A DEM Research Retreat was held on April 10, 2018, and focussed on 3 broad themes: mentorship, support, and teamwork. A number of exciting action items were decided upon – click here to download a summary. A DEM Research Retreat was held on April 10, 2018, and focussed on 3 broad themes: mentorship, support, and teamwork. A number of exciting action items were decided upon – click here to download a summary. Dr. Corinne Hohl recently won the MSFHR Health Professional-Investigator (HP-I) Award for her project “Implementing and evaluating ActionADE to transform medication safety”. The HP-I Award is designed to develop BC’s research talent and help decrease the gap between health research and its implementation. The awards support health professionals who are actively involved in patient care to conduct and apply research relevant to health and/or the health system. Congratulations to Dr. Jessica Moe, who recently received a $75,000 operating grant for her project “Identifying Subgroups and Risk Among Frequent Emergency Department Users”. The Innovation and Translational Research Award funds innovative research that will have an impact on patient care at VCH and/or PHC, provide savings for the health system at VCH and/or PHC. 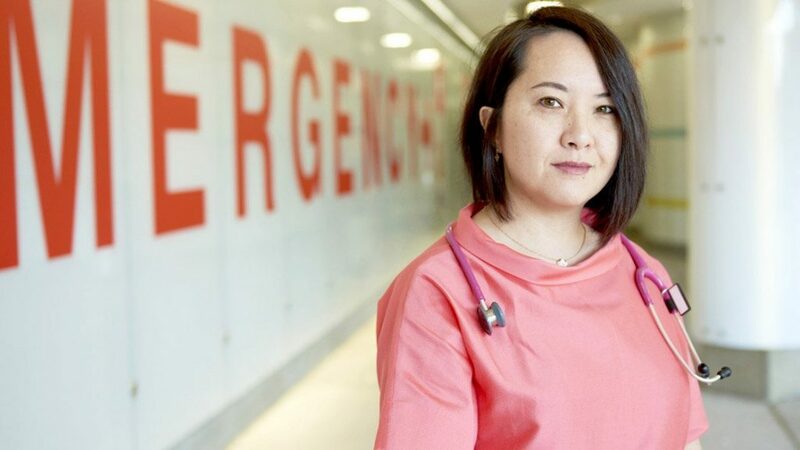 Congratulations to Dr. Kendall Ho and the UBC DigiEM team, who is working with a cross emergency department team in the lower mainland, including Drs. Wayne Choi, Chris Lee, Chad Kim Sing and Eric Grafstein. 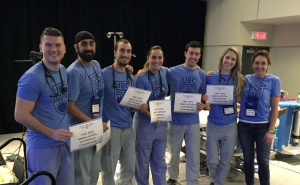 The team recently received an inaugural VGH + UBC Hospital Foundation Innovator’s Challenge award for their work developing an app which enhances patient to health professional communication to dramatically transform the patient experience in the ED. The app will gather and organize information to provide patients with their diagnosis, treatment and discharge instructions, and facilitate follow-ups. It will track real-time ED patient volume and speed of flow to anticipate wait times and avoid overcrowding in our hospitals. The completed app will further improve patients’ understanding of their diseases, shorten their ED length of stay and decrease unnecessary ED revisits. The Innovator’s Challenge Award supports creative solutions which have the potential to transform healthcare in BC and beyond. Congratulations to Dr. Jim Christenson who is a co-recipient of the 2018 Providence Health Care Research and Mission Award! The award is in recognition of his leadership and contributions to Providence Health Care as an emergency physician and clinician researcher. The selection committee noted Jim’s expertise in the resuscitation of patients suffering cardiac arrest, and acknowledged the widespread impact of his research on patient care. Dr. Christenson has served as Head of the Department of Emergency Medicine (DEM) since 2010. He has also spearheaded the development of a well-connected community of emergency physicians across the province through the BC EM Network, and in doing so has galvanized the DEM faculty to support and facilitate the best care possible in all 108 emergency departments in British Columbia. Please click here to read more about the award details. We are pleased to announce Dr. Daniel Ting, a 4th year resident in the Emergency Medicine Program based in Kelowna, has been awarded the first annual Herb Parkin Leadership Award. The Herb Parkin Leadership Award is given to a UBC EM resident who has made an outstanding contribution to the field of Emergency Medicine. This person is a visionary, and has demonstrated leadership in advancing our specialty. It is someone who is likely to change Emergency Medicine for the better over the course of their career. This is demonstrated by an academic dossier that shows innovation, creativity, and a commitment to improving patient care. A strong sense of self-motivation are readily apparent. We are pleased to announce Dr. Jared Baylis, a 4th year resident in the Emergency Medicine Program based in Kelowna, has received the 2017 Resident Doctors of BC Award of Merit. This annual award recognizes members of the healthcare community for their contributions to creating an optimal training environment for residents in BC. 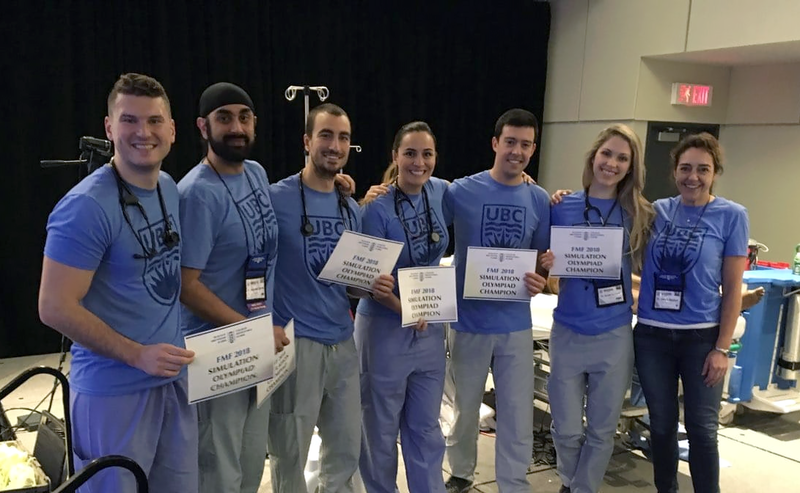 As one of the inaugural residents at the Interior Site of the UBC Emergency Medicine residency program, Dr. Baylis has set an example for his fellow residents. He has used his expertise in Simulation Education and Innovation to develop a local simulation curriculum to ensure that residents get exposed to all the key clinical presentations and has mapped these presentations to clinical competencies and objectives. Congratulations to Dr. Jessica Moe for recently receiving a CIHR travel grant to attend the Institute of Population and Public Health’s (IPPH) second annual “Starting Investigators Workshop” in Ottawa this June. This event is geared towards new population and public health researchers who have just become (or who are about to become) eligible to apply for CIHR funds for the first time. The goal of this event is to introduce starting investigators to CIHR, to give training/tips on applying for CIHR grants, to provide networking opportunities with more senior academics, and to make introductions to senior public health policymakers. Dr. Frank Scheuermeyer’s recently published study shows patients who receive an antidote promptly after a fentanyl overdose and show no complications require little hospital care. The findings, published last month in the Annals of Emergency Medicine, could help standardize how first-responders and emergency departments handle overdoses from the potent drug. View the Vancouver Sun new article. Congratulation to Dr. Devin Harris who has been appointed to role of the Executive Medical Director (EMD) for Quality and Patient Safety. Devin is an Emergency physician at Kelowna General Hospital. 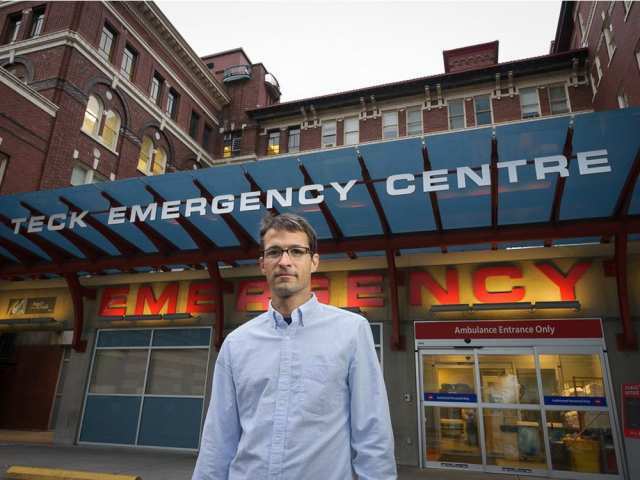 He is also a Clinical Associate Professor in the Department of Emergency Medicine at UBC. Devin began his career with Interior Health as Department Head and Medical Director of Emergency (KGH) in 2015. He then transitioned to the KGH Chief of Staff role in 2017. Quality improvement has always been a passion of Devin’s, to which he has contributed on many levels. Devin has served as a BC Patient Safety and Quality Council member since 2011 (Clinical Lead). He has also led a Provincial collaborative in stroke improvement, earning a UBC Faculty of Medicine Innovation Award. In the past Devin has enjoyed teaching at the Clinician Quality Academy. His experience and training includes clinic as well as Health Services research. He has authored numerous publications and delivered many presentations and abstracts. Most recently, Devin served as Associate Scientific Director of Research for IH, specifically with a lens on physician engagement. For 13 years Devin worked as a physician at St. Paul’s Hospital in Vancouver. Originally from Penticton, he is happy to have returned home to the Okanagan. He now lives in Kelowna with his wife and two children, who also enjoy all that the Okanagan lifestyle and communities have to offer. Please join me in congratulating Devin as he embarks on his new journey. Devin will be assuming the EMD role as of May 1st, 2018. Recruitment will soon be underway for the Kelowna General Hospital Chief of Staff position. EM Research Day will feature podium presentations on completed or planned EM research, plus a plenary presentation by visiting professor, Dr. Laurie Morrison, Research Chair, Professor, and Clinician Scientist in the Division of Emergency Medicine, Department of Medicine at the University of Toronto; Scientist at the Li Ka Shing Knowledge Institute at St Michael’s Hospital, and Director of rescu.ca. Dr. Morrison’s work is highly respected and internationally known; this is an event you will not want to miss. Register now! This province-wide event, jointly sponsored by the UBC Department of Emergency Medicine and the UBC Division of Pediatric Emergency Medicine, will take place at the CRFI Chan Centre auditorium at the BC Children’s Hospital in Vancouver, and include live web broadcasting. Congratulations to Jessica Moe and Corinne Hohl, and their research team, Eric Grafstein, Brian Holroyd, Michael Schull, K. Dong, K. McGrail and M. McGregor. They recently received a $70,000 CIHR Operating Grant for their project “Identifying Risk and Transitions Among Frequent Emergency Department Users: Whose Needs Can Safely Be Met Elsewhere?”. Please join us in congratulating Corinne Hohl and her research team, Jane Buxton, Roy Purssell, Jason Curran, Jesse Godwin, Perry Kendall, Jessica Moe, Mark Tyndall, as they recently received a $110,000 grant through the CIHR Opioid Crisis Knowledge Synthesis Competition to support their research project “Systematic Review of Naloxone Interventions in Opioid Overdoses”. The dramatic and increasing number of overdoses and deaths related to the use of opioids is a national public health crisis. This funding opportunity supports expedited knowledge synthesis grants to rapidly inform policies on opioids related to one or more pillars of the Canadian Drugs and Substances Strategy. Learn more about the CIHR Opioid Crisis Knowledge Synthesis Grant here. Congratulations to Dr. Corinne Hohl and her research team for being awarded $100,000 at the Canadian Institutes of Health Research’s SPOR Rewarding Success “Ideathon” in Ottawa. She presented her project “Implementing and Evaluating ActionADE to Transform Medical Safety” to a national review panel. The SPOR Rewarding Success Initiative was designed to produce interventions that will result in cost savings and/or improved efficiencies in Canada’s health care system. Successful research teams will receive a total of $4.8 million over four years for their research studies. More information on this initiative can be found on the BC SUPPORT Unit website. Dr. Jeff Bruchacher along with his research team, Dr. Colby Renschler, Dr. Ana Maria Gomez, Dr. Benjamin Huang, Chung W. Lee, Shannon Erdelyi, Dr. Herbert Chan, and Dr. Roy Purssell, recently released “Reporting Unfit Drivers: Knowledge, Attitudes, and Practice of BC Physicians“. This report puts forth a number of recommendation aimed at overcoming barriers to physician reporting of medically unfit drivers in BC. Unfit drivers impose risks on themselves and on other road users. The risk of subsequent crashes is reduced when physicians identify unfit drivers and warn them not to drive. In BC, physicians are only obligated to report unfit drivers who continue to drive after being warned to stop. The most commonly cited barrier to reporting unfit drives was being unaware of which unfit drivers continue to drive. Other barriers included lack of time, lack of knowledge of the process, guidelines, or legal requirement for reporting, fearing loss of rapport with patients, pressure from patients not to report, lack of remuneration, and pressure from family members not to report. In practice, physicians see far more unfit drivers than they report to licensing authority: 67% of physicians encounter definitely unfit drivers more than twice per year, but only 19% report definitely unfit drivers more than twice per year and 34% never report definitely unfit drivers. 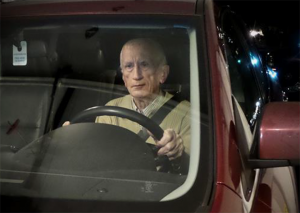 The findings indicate a need for more education and information resources to help physicians, particularly EPs, identify and manage medically unfit drivers. Congratulations to UBC RCPS-EM Resident Dr. Daniel Ting, who was selected as a top 3 finalist for the CAEP 2018 Top Education Innovation Abstract Award! His abstract is titled “Implementation of an editorial internship at the Canadian Journal of Emergency Medicine to foster education and participation in academic emergency medicine”, and was co-authored by Drs. Riyad Abu-Laban, Laurie Morrison, James Ducharme and Eddy Lang. The Canadian Journal of Emergency Medicine (CJEM) Editorial Internship was established to: (1) introduce and develop the responsibilities and skills of a good editor; (2) enhance a career in academic EM; and, (3) galvanize future participation as a reviewer or editor in scientific publications. The top 3 Education Innovation Abstracts will be presented in an education track at CAEP 2018 on Sunday, May 27th and the winner will be announced at the CAEP Research Awards Ceremony on May 30th. Daniel will also be presenting this work at UBC EM Research Day on April 11, 2018. Yet another great reason to register and attend EM Research Day! Congratulations to Dr. Corinne Hohl, who was recently awarded a UBC Killam Research Fellowship. This prestigious award will be formally celebrated during a ceremony on April 17th at the Chan Centre and allows faculty members to pursue full-time research while on study leave. Check out more details on the Faculty of Medicine website. Congratulations to Dr. Corinne Hohl and her research team for being selected to represent BC at the recent Canadian Institutes of Health Research’s SPOR Rewarding Success “Ideathon” (15-minute pitches to a national review panel) in Ottawa. She presented her project “Implementing and Evaluating ActionADE to Transform Medical Safety”. More than a research project this technology could substantially increase bystander rates and save more lives. Consider joining and advocating to your friends!! Please join us in congratulating Dr. Jessica Moe as she recently received a $5,000 grant through the CAEP Research Committee to support her research project “Identifying Subgroups And Risk Among Frequent Emergency Department Users: Whose needs can safely be met elsewhere?”. Congratulations to Dr. Roy Purssell! Dr. Purssell is a key member of a team of researchers who were awarded $520,200 from CIHR for their study “Opioid Prescribing Evaluation and Research Activities (OPERA)”. This important study will assess patterns of opioid prescription in BC in relation to serious outcomes and will evaluate the effects of policy and interventions designed to reduce deaths from opioid overdose. This project will compliment Roy’s existing research into opioid poisoning which is critically important in the setting of the current fentanyl crisis. Dr. Jeff Brubacher & Team Receive Major CIHR Award! Congratulations to Dr. Jeff Brubacher and his research team on their recent CIHR award of $876,000 over five years for a study titled “Predictors of poor health and functional recovery following road trauma: An emergency department inception cohort study”. This success in a field of 50 submissions from across Canada is a monumental accomplishment by a team that also included DEM faculty members, Dr. Adam Lund and Dr. Devin Harris. Dr. Brubacher’s research program is on Road Safety, and you can find out more about it by visiting the Innovation section of the BC Emergency Medicine Network website. The first publication on the BC Emergency Medicine Network, “The British Columbia Emergency Medicine Network: A Paradigm Shift in a Provincial System of Emergency Care” is available online in Cureus, an open-access medical journal (download full PDF here). The paper, written in collaboration with our patient partners, provides an overview of the EM Network, including its background, purpose, programs, anticipated evolution, and impact on the BC health care system. The sole purpose of the Network is to support you; it connects BC emergency practitioners with each other and with current, practical resources. As physicians working in emergency medicine, your engagement is essential to defining clinical and health system problems; proposing, implementing, and refining solutions; evaluating the effectiveness of new guidelines and policies; and integrating academic and clinical emergency medicine. 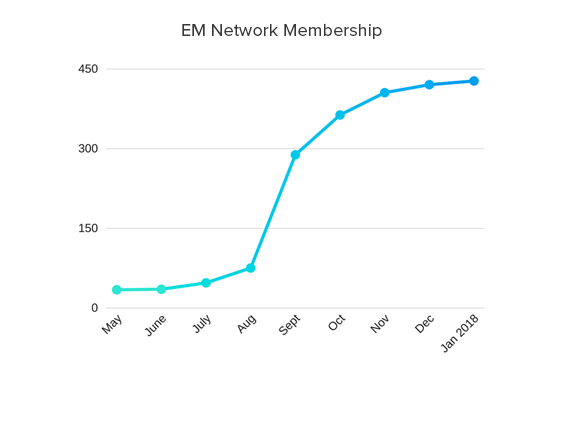 Network membership continues to grow to over 400 members to date. If you haven’t yet signed up, REGISTER NOW! Congratulations to Dr. Kendall Ho and the UBC Digital Emergency Medicine team! The UBC Digital Emergency Medicine (DigEM) group was recently awarded a Vancouver Foundation grant on their project “Evidence Supported Self-management Enablement and Cultural Engagement (ESSENCE): Supporting BC’s Multicultural Communities in Optimizing Evidence Supported Self-Management and Prevention of Chronic Diseases”, as part of the inter-Cultural Online Health Network (iCON). This three-year, $225,000 grant will enable a better understanding of how Chinese and South Asian communities in BC can meaningfully participate in developing evidence-based self-management approaches based on culturally appropriate clinical practice guidelines. The project will also identify barriers and facilitators for multicultural community members to engage with policy makers and clinical leaders to co-create content tailored for community members to improve chronic disease management. This grant, together with the Ministry’s continuing support of iCON under the auspice of DigEM, will continue collaboration with community members to improve care and contribute to efforts such as engaging BC’s Indigenous population in improving emergency care over time. EM Research Day will feature podium presentations on completed or planned EM research, plus a plenary presentation by visiting professor, Dr. Paul Atkinson, Professor of Emergency Medicine at Dalhousie University, Chair of the Dalhousie Emergency Medicine Research Committee, and Clinical Associate Professor of Emergency Medicine at the Memorial University of Newfoundland. Dr. Atkinson’s work is highly respected and internationally known, so this is an event you will not want to miss. Register now! Congratulations to DEM faculty member and CHÉOS scientist, Dr. Brian Grunau, on receiving the American Heart Association (AHA) Young Investigator award. The award is presented annually for the top research submitted to the AHA Resuscitation Science Symposium and is given to scientists within the first five years of their appointment. The research recognized was a part of Dr. Grunau’s involvement as a co-investigator with the Resuscitation Outcomes Consortium (ROC). This is the second Young Investigator Dr. Grunau has received; he received the 2014 award for his abstract “Neurological outcomes associated with duration of pre-hospital resuscitation: Implications for transport to invasive resuscitation”. The BC SUPPORT Unit Northern Centre has launched the Developing Northern Research Collaboration Awards to provide the opportunity for researchers, healthcare providers, decision makers and patient partners to develop patient-oriented research studies in Northern BC. The award will help to catalyze research that aligns with the SPOR Capacity Development Framework and the SPOR Patient Engagement Framework. The total amount available for this competition is $50,000, which will fund up to five awards. The deadline submission is January 8th, 2018 and the award start date is March 1st, 2018. To view the full application form for the Collaboration Awards, please click here. Dr. Jeff Brubacher appeared before the House of Commons Standing Committee on Justice and Human Rights on September 18th and presented a statement regarding their study of Bill C-46. The bill proposes new measures to combat impaired driving including random breathe testing of drivers for alcohol and introducing per se levels for THC. Both topics are related to Dr. Brubacher’s Road Safety research. Congratulations on a job well done and keep up the good work Jeff! Listen to the hearing on the Standing Committee on Justice and Human Rights. 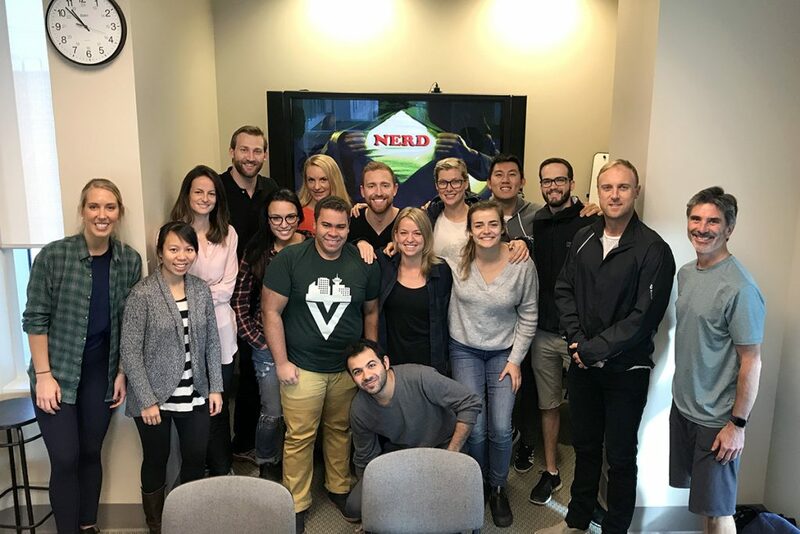 Congratulations to the NERD Block 2017 Graduating Class! The NERD (Novel Education in Research and Design) grads are pictured here with Course Director Dr. Riyad Abu-Laban on the far right. This year’s NERD participants included 12 Royal College EM Residents, two Pediatric EM Fellows, and one DEM Faculty Member. And special thanks to the 29 NERD Block Faculty Members, Workshop Group Facilitators Drs. Frank Scheuermeyer, Jeff Brubacher, Ran Goldman and Quynh Doan, and Ms. Carolyn MacKinnon for her administrative oversight. It is the hard work and commitment to excellence of all these individuals that make this joint DEM/PEM initiative possible, and such a great success every year. Dr. Chad Kim Sing selected for the UBC-BH Emergency Medicine Leadership Fellow! Please join me in congratulating Chad Kim Sing on being selected as the inaugural UBC-BH Emergency Medicine Leadership Fellow! 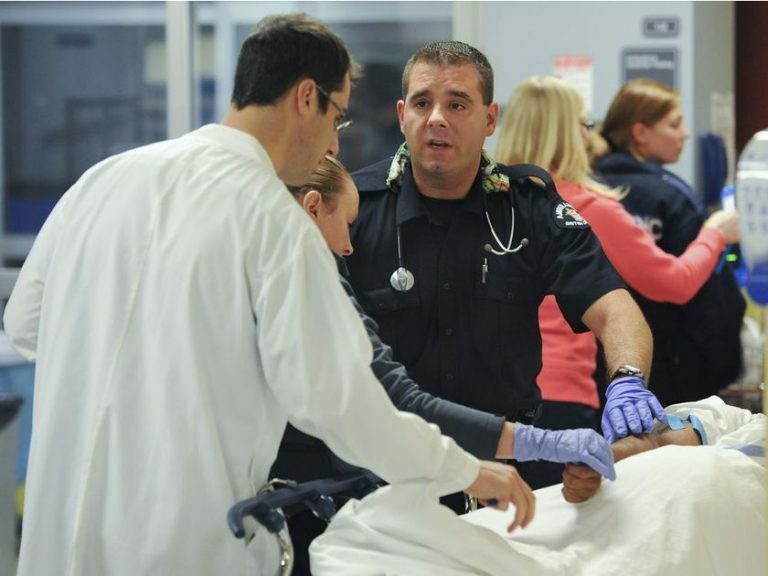 The UBC Department of Emergency Medicine and Brigham and Women’s Hospital at Harvard recently collaborated on the development of a 2 year program to build leadership skills in promising future EM leaders. Chad is presently the department head for emergency medicine and medical director for emergency services at Vancouver Acute (VGH, UBCH, GF Strong). Donations from private citizens were solicited and collected to fund the tuition and travel expenses for the program including mentorship and course work with Brigham and Women’s faculty, certification from the International Emergency Department Leadership Institute and certification from the Harvard School of Public Health for Centers Leadership Development for Physicians in Academic Health Centers. Chad was selected from a pool of very strong applicants… a testament to the need, willingness and interest in leadership in our emergency medicine community. Chad will receive key mentorship and be able to extensively network with international physician leaders. Our goal is to help build a broad base of innovative, forward thinking physicians with strong leadership skills in BC to effect the changes needed to improve care. We hope to continue this program yearly and wish Chad the best of luck and enjoyment of the program. Another exciting season of the Rural Emergency Medicine Journal Club is about to begin! This online journal club is a great way for rural physicians with an interest in Emergency Medicine to form a community of practice across a dispersed geographical area. The online nature of this club allows you to join at any time, from anywhere, on any device with an internet connection, as it suits your schedule. It is only open to those who have registered and, great news: a log-in and password are not required! The upcoming series will feature 5 sessions in total, each lasting three weeks and with a dedicated topic and moderator. During each session, you will discuss a case or academic article on a topic pertinent to rural emergency medicine. Registration is now open! The first session begins on September 25, 2017. It is certified for up to 10.0 Mainpro+ / MOC Section 1 credits. Register online or contact allison.m@ubc.ca for more information. Dr. Heilman will be speaking at the upcoming Wikimania 2017 conference, Aug 9-13. More on his session “Wikipedia & Medicine, A Year in Review” can be found here. 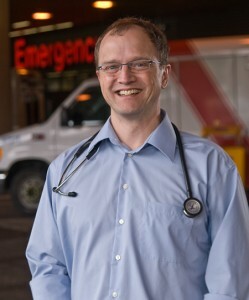 KEVIN CLARK is the Associate Program Director of the Kelowna Emergency Medicine program. He has demonstrated an outstanding proficiency in bedside and didactic teaching and assessment. 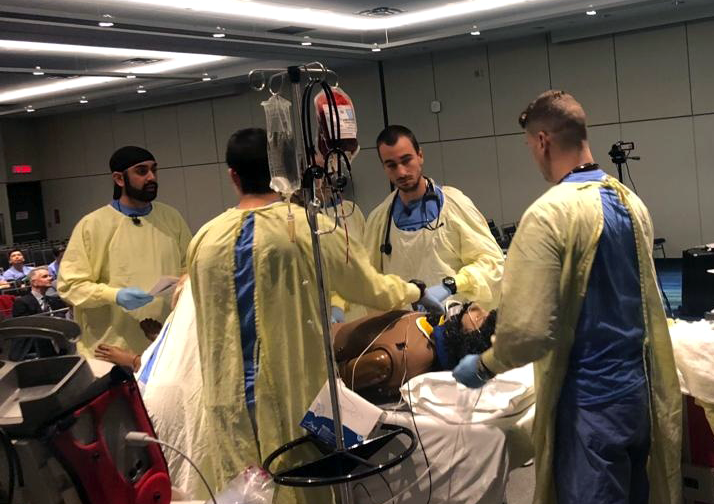 He introduced a simulation-based approach called “in-situ,” which brings the simulation out of the lab into the trauma bay where residents can learn in a realistic environment alongside nurses and allied health professionals. He also introduced direct observation shifts, which provides residents with detailed in-depth assessment, constructive criticism, and personalized coaching. He has a reputation for his strong clinical acumen, and his motivational and innovative approach to teaching. Jeff Brubacher, Associate Professor in the Department of Emergency Medicine received the 2017 Noni MacDonald Award from the Canadian Pediatric Society. Noni MacDonald Award recognizes an article in Paediatrics & Child Health journal that has positively affected paediatric medicine. This year’s prize goes to the lead author, Dr. Jeff Brubacher of the article published in the May 2016 issue of the journal. Titled “The impact of child safety restraint legislation on child injuries in police-reported motor vehicle collisions in British Columbia: An interrupted time series analysis”, it evaluates the effectiveness of 2008 legislation enforcing child safety seat regulations in that province.